The Captain & Loco cocktail is a delicious coconut flavored rum drink with hints of spice. 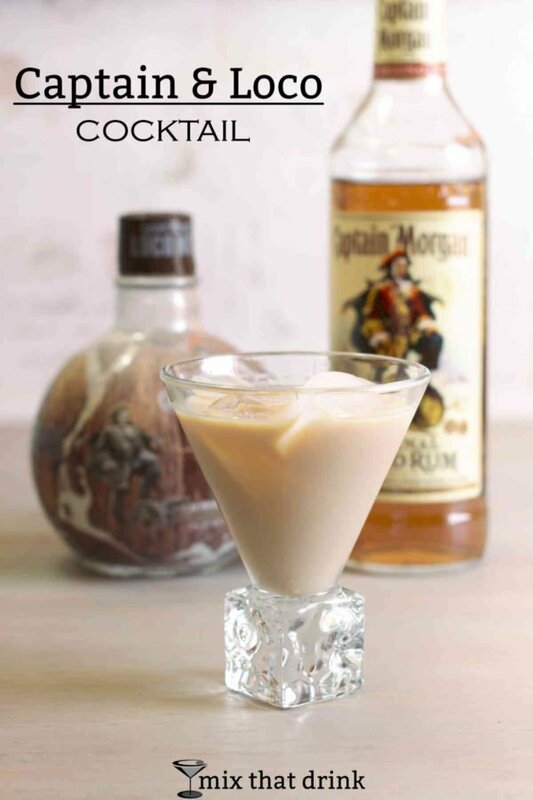 It features Captain Morgan LocoNut with the Captain’s Spiced Rum, and the combination is amazing. This is a great drink for parties. You can make up a pitcher in advance and just pour over ice as needed. 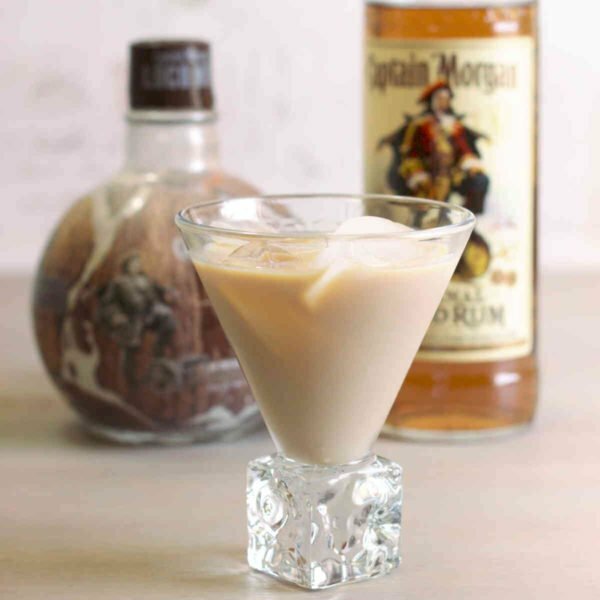 And since most everyone loves coconut and spiced rum, you make all your guests happy. If you want to pair this drink with some appetizers or tapas, try food items that go with coconut. Like Bacon Wrapped Pineapple Appetizer from Taste with the Eyes, or Honey Orange Firecracker Shrimp from Damn Delicious. The fruity, smoky and spicy flavors in these appetizers make a wonderful contrast to the sweet coconut flavor in the drink. This is a surprisingly rich drink. Not heavy at all – you could enjoy it at a barbecue – but it seems almost creamy, like coconut milk. And that’s why it works so well over ice. I tried it both ways: strained cold into a chilled glass, and served over ice just like the recipe calls for. If the ice does water it down any, it doesn’t matter because it has so much flavor. Something about the ice brings out the spice notes, too. If you enjoy this drink, take a look at the Ginger Apple Spice Cocktail, which blends spiced rum and coconut rum with ginger liqueur, apple juice, and bitters. 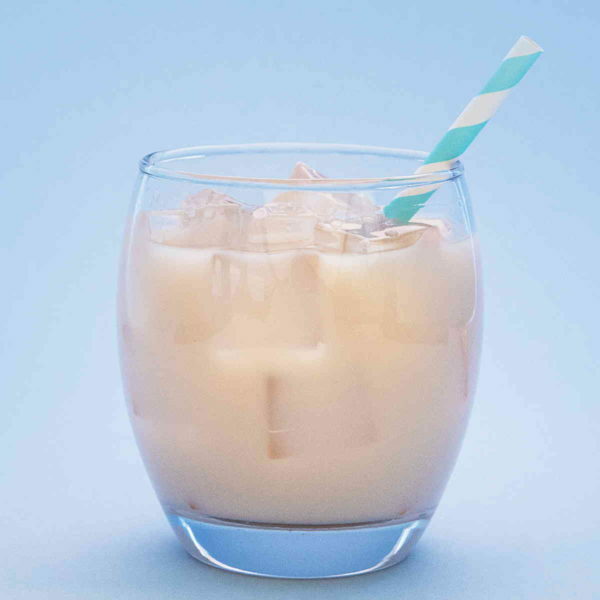 Or try the Coconut Frappe, which blends coconut rum with Baileys and milk. 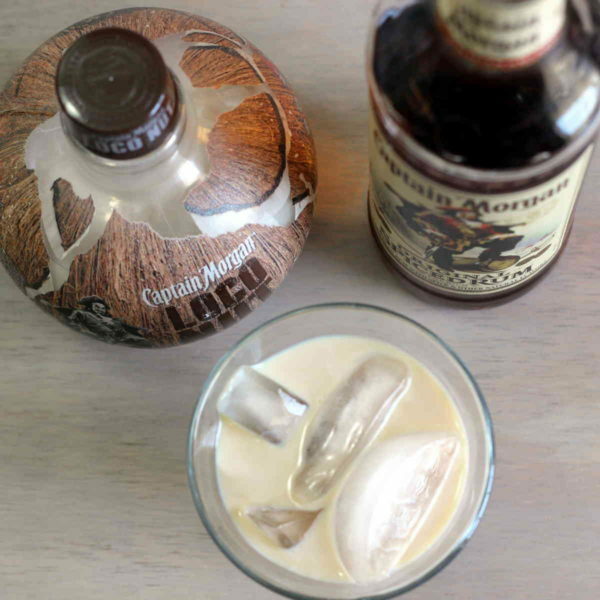 In both of these drinks, you could definitely use LocoNut instead of the coconut rum. Fill a cocktail shaker with ice. Pour in both ingredients and shake until chilled. Strain into a rocks or martini glass over ice. Don’t mix this with Coca Cola. It looks like curdled milk in the glass.